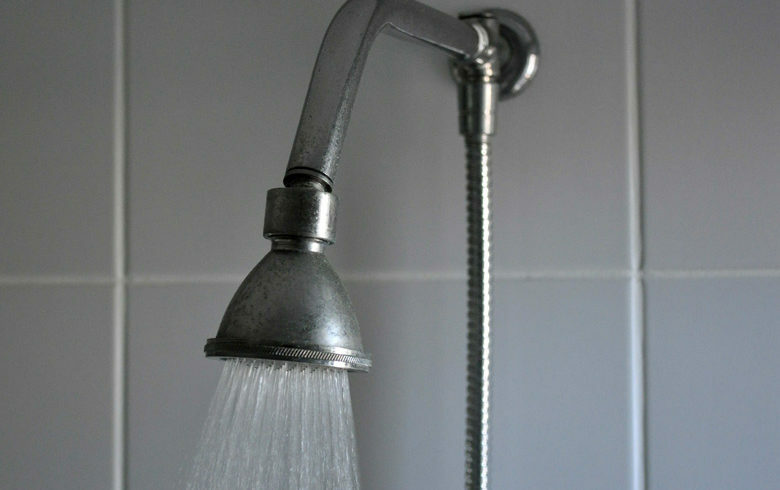 Do you have troubles with smelly or stinky hot water? If so, the problem exists with your water heater and occurs mainly in homes supplied by a well. In a nutshell, you’ve got smelly hydrogen sulfide gas in your water heater. Let me try to explain without getting too technical. A water heater provides perfect conditions for creating hydrogen sulfide gas and can create it in a couple of ways. First, the warm environment is ideal for sulfur bacteria. Second, a chemical reaction between sulfate in the water and the water heater’s magnesium anode rod can create hydrogen sulfide gas. Magnesium anode rods are standard in most water heaters and sulfate is a naturally occurring compound found in most groundwater. The magnesium supplies electrons that aid in the conversion of sulfate to hydrogen sulfide gas. So how do you get rid of the hydrogen sulfide gas? You have several solutions you can try. 1. First, is the temperature on your water heater set too low? If your temperature is below 130 degrees Fahrenheit, it may be too low. If so, flush your water heater tank, refill and turn it up to 145 degrees for 48 hours. Once its done ‘cooking’, set the thermostat at 130. If this doesn’t solve the problem, read on. 2. Second, you may need to replace your anode rod. But before you can replace the rod, the tank and hot water lines need to be disinfected. Here’s how. The first step is to replace the magnesium anode rod with one made of aluminum or an aluminum-zinc alloy. Aluminum and aluminum-zinc alloy rods don’t contribute to the production of hydrogen gas. Don’t remove the offending rod without installing a new one. The anode rod is designed to corrode so the tank and fittings do not. You will void the water heater’s warranty if you simply remove the rod. Replacement rods sell for around $20 at plumbing supply stores. You won’t find them at home centers. To remove the old rod, shut off the water supply to the water heater and drain about 5 gallons of water from the tank so that water doesn’t run everywhere when you remove the anode rod. It’s best to drain the water through the drain valve at the bottom of the water heater because you will also remove sediment that collects inside on the bottom of the tank. Sediment is another good breeding ground for bacteria. The water from the tank is very hot, so use caution. Loosening the old anode rod nut can be difficult since it probably has not been moved since it was installed at the factory. You’ll need a 1-, 1- 1/8- or 1- 1/4-in. socket wrench, depending on the nut size. It may take some real force to break the nut loose, so I recommend having a helper hold the water heater to keep it from moving. If the nut won’t budge, apply some penetrating oil to the threads and try it again. If that fails, heat the nut with a propane torch. Use caution so you don’t damage the top of the water heater. Once the nut is loose (and cool if you heated it), unscrew it and lift out the anode rod. When you install the new rod, wrap some Teflon tape around the threads to make it easier to remove next time. Anode rods last anywhere from two to five years, depending on your water hardness. Check the rod every couple of years and replace it when the center core wire shows. The old anode rod will most likely have a white, gray, black or reddish-brown slime on it that is produced by the bacteria. Don’t attempt to clean the rod and reuse it. You also need to treat the inside of the tank. The most effective way to fight the anaerobic bacteria is to oxygenate the water with hydrogen peroxide. Anaerobic bacteria thrive where there is little or no oxygen. The hydrogen peroxide bubbles and charges the system, creating a harsh oxygenated environment. Pour in one pint of hydrogen peroxide per 40 gallons of tank capacity. This weak concentration is not harmful to you, but it will kill the bacteria. Install the new anode rod, turn on the water supply and refill the tank. Run all the hot water taps until they are hot and then turn them off. It’s important to get the oxygenated hot water to the end of every hot water line. Let the treated water stand for two to four hours. Then run each hot water tap for about five minutes to flush the peroxide. This also drains enough hot water from the water heater to clear the system. Finally, whether you’re shocking a well or oxygenating a water heater, don’t expect it to be a one-time cure. A well may need to be shocked two or even three times a year. A water heater may need to be oxygenated three or four times in one year. It is unlikely that you will kill all of the bacteria in one treatment. 3. Third, replace your existing water heater with a tankless hot water heater. They cost a bit more, but since there’s no tank, there’s no way for the hydrogen sulfide gas to breed and grow. Plus the tankless water heaters may be more energy efficient.